Woot woot! My first nails and tales review for 2016! After a slow start to the year, reading wise, I finished the first book that blew my freaking mind. It was creepy, intense, and an all-around amazing ride on the awesome express. Not to mention the freaking gorgeous cover, which makes me love it even more. In truth, I actually finished PRETTY GIRLS a week ago and to be honest, I still don’t know how to write a review for it. I’ve read a solid amount of psychological thrillers in my day and like to think of myself as a pretty smart reader—one who can suss out clues and foreshadowing—but for the first time in a while, I didn’t know which way was up. The plot was basically one big twist, spinning me around and back again, and when I thought I was positive about something, the exact opposite was proven instead. It was exhausting and exhilarating, and it gave me my first book-hangover of the year. I'm not joking when I say that I had to wait the better part of a week before starting another because I couldn't stop thinking about it. The moment I saw the cover, I could picture the tribute mani and I'm happy to report that I was able to (mostly) execute my plan! It's such a triumphant moment when that happens. Haha! 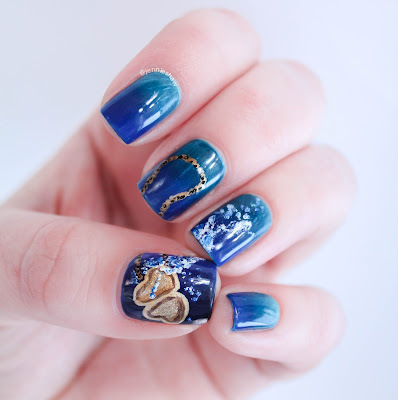 I love the teal to dark blue gradient, and the heart locket with bubbles make for the perfect accent. Gah! It's just the best when covers come alive on my hands! Haha! So because of all the above-mentioned reasons, I don’t know how to write this review. I don’t want to tell you one darn thing that would spoil all the delightfully hideous surprises that await you, should you decide to pick up PRETTY GIRLS. I don’t want to tell you which characters I liked or who I hated, and I definitely don’t want to provide examples on the magnificent way the story lines were woven together in unexpected and jaw-dropping ways. Because even if I gave you a tiny example, it could ruin everything. So what does that leave for a review, then? Not much, I've come to see. Haha! All I can really say is this: you legit need to read this book. Just trust me on this one. If you like psychological thrillers, then you need to put PRETTY GIRLS on your TBR list. Close to the top. Don’t let someone inadvertently spoil the awesomeness. The sooner you read this baby, the better. 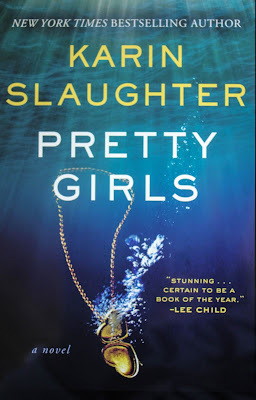 I will warn you that there's some graphic violence, which is executed in a seriously creepy, could-give-you-nightmares kind of way, so it may be a good idea to not read PRETTY GIRLS before bedtime. That said, you'll probably end up reading close to bedtime anyway, because you won't be able to put it down. And if that is the case, make sure you've got a nightlight handy--steal one from another room, if you have to. Believe me when I say that your kid won't need it as much as you will. Haha! Your nails look amazing. I have been cheating and using nail stickers lately. So I am definitely putting this on my list, cuz you know I love a psychological thriller. I also am stunned by these nails. The locket looks photorealistic. 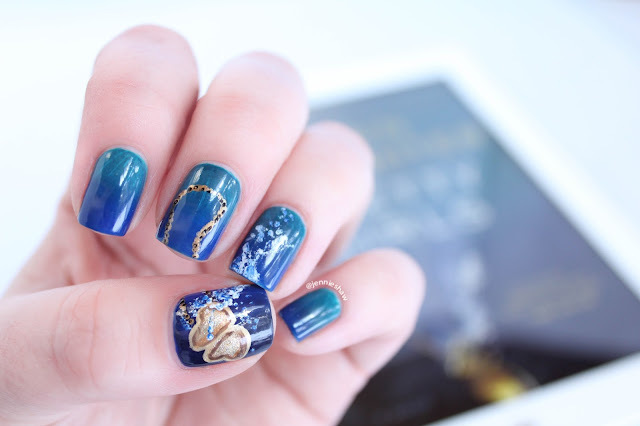 Did you glue a photo of a locket to your nails? Because the depth is totally there. Seriously, your nails....I can't say you've come a long way, because they've ALWAYS been amazing. But in the past year or so....I mean, you just blow me away now.